Outgoing President Jimmy Wood gets a rousing vote of Thanks as he hands over to the Club's new President Andy Carter. Because of holiday commitments the Presidential handover took place earlier than usual on May 24 2016. 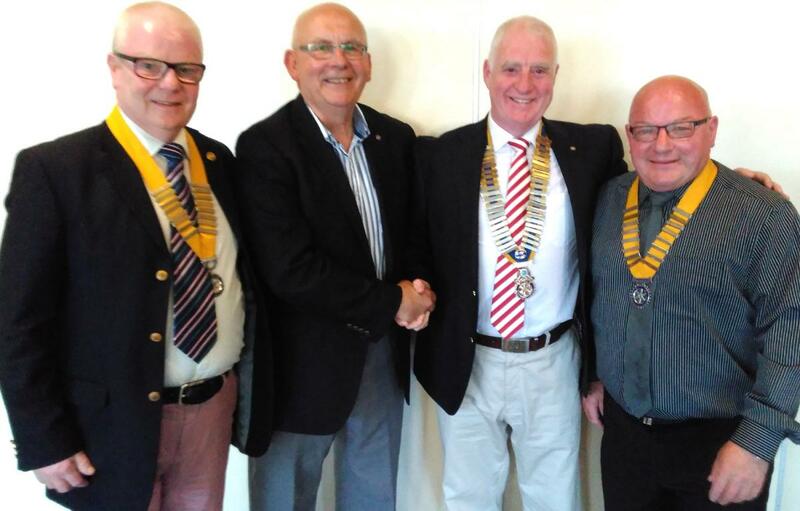 Past President Bob Harwood praised Jimmy Wood for all the progress made under his leadership, including several new members recruited to the club and many community events during his year. Jimmy Woods and his successor, Andy Carter emphasised the value of the Club's work in partnership with many other organisations in the town and the need also for our events, such as Touch a Truck Show to 'bring fun as well and fellowship' to Rotary projects.